Nick Gordon's first Triple-A homer came at a VERY opportune time for the Red Wings. 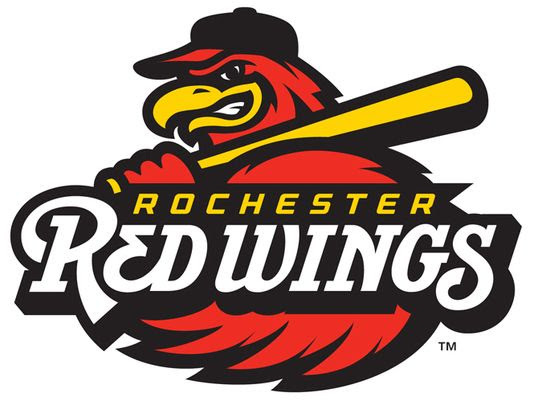 Down to their final strike, Gordon capped a four-run final frame with a three-run homer that sent the Wings to a 7-5 win over the Syracuse Chiefs in the nightcap and a sweep of the doubleheader. For Rochester (38-38) it is their first twin bill sweep of the season in seven attempts. But it didn't come easy. After Kennys Vargas' team-leading ninth homer of the season gave the Wings a 1-0 lead, the Chiefs would respond with five unanswered runs to take a 5-1 lead after four innings. The Red Wings cut that deficit in half with a two-out, two-run single in the fifth from catcher Juan Graterol -- who was making his debut with the Wings. The score remained 5-3 into the seventh, when LaMonte Wade ignited the rally with a leadoff double. After moving to third on a wild pitch, Zack Granite drove him home with a groundout. Gregorio Petit and Graterol reinvigorated the rally with back-to-back one-out singles. Byron Buxton then struck out setting the stage for Gordon who drove a 2-2 offering from Wander Sueroover the right field wall giving Rochester the 7-5 win. Nick Anderson tossed two scoreless innings to earn the win and Gabriel Moya slammed the door in the bottom of the seventh to earn his third save of the season. The Wings took the opener 2-1 behind a strong start from Fernando Romero who allowed just the one run on six hits in six innings to earn his first Triple-A victory. Gordon and Leonardo Reginatto each collected RBI singles in the victory. Rehabbing Twins infielder Jorge Polanco picked up four hits over the two games. The Wings open a three-game homestand against the first place Lehigh Valley IronPigs on Friday night at Frontier Field. Southpaw Stephen Gonsalves (5-3, 4.56) gets the nod in the opener for Rochester.